Optical fibers may consist of an arbitrary number of concentric layers of lossless materials, and graded index fibers can be approximated using a sequence of constant index layers. OptiFiber mode solvers find an exact solution based on matching boundary conditions at layer boundaries instead of relying on meshes to approximate the structure. These advanced mode solvers should be especially useful for multimode fiber calculations, where there are many modes in the spectrum. Another advantage of the meshless mode solver is the calculation of fields far from the fiber. Meshing introduces finite difference errors of a certain level, and fields weaker than the differencing error cannot be calculated. The meshless mode solvers, on the other hand, have the correct asymptotic behavior far from the fiber, and can calculate fields of magnitude 10-15 or less. 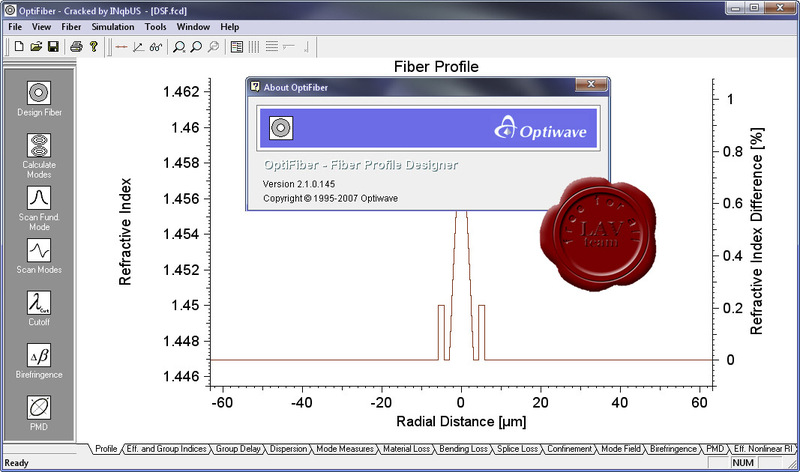 OptiFiber allows users to decompose an arbitrary field into the modes of a multimode fiber. It calculates the complex coefficients of the modes for the arbitrary field. Similarly, given the amplitude of a set of modes, OptiFiber can display the sum (composition of modes). OptiFiber can also calculate this multimode field after propagating down the fiber by a specified distance. The user enters a distance. Each of the complex coefficients of the modes is multiplied by the appropriate phase factor, and the new field pattern is displayed in the preview box. 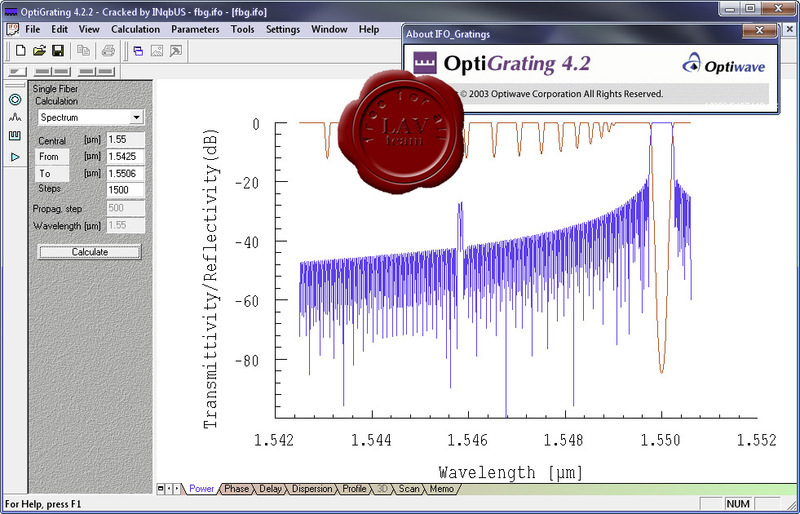 Calculation of birefringence and PMD from intrinsic or extrinsic perturbations. Long Period Gratings with coupling to cladding modes.